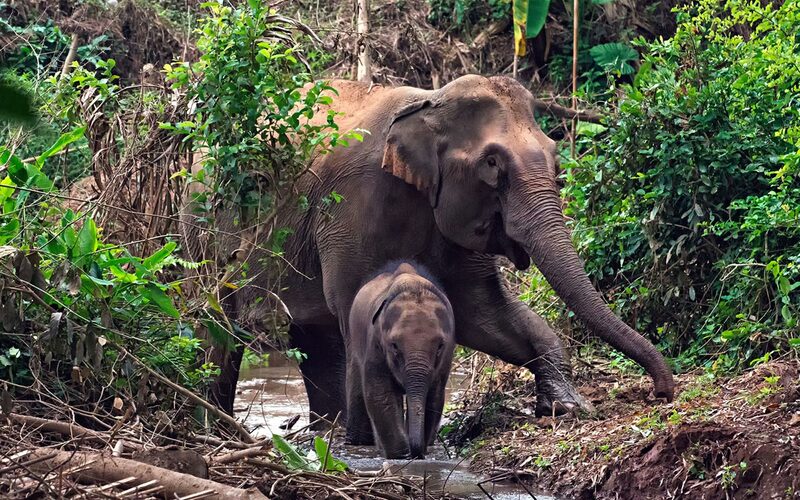 According to experts, less than a dozen conservation centers in the Greater Mekong Sub-region can be qualified as ethical elephant sanctuaries. It is estimated that 60-75% of wildlife tourist attractions have negative welfare impacts on individual animals and their conservation status. Furthermore, 80% of tourists visiting a wildlife attraction will NOT respond to the welfare status of these animals. (Moorhouse, et al. 2015). While many tourists dream to learn about elephants when visiting Southeast Asia, travellers should only choose to visit sanctuaries with ethical codes. Which means that elephants should be well treated, given a lot of freedom and not forced to perform in shows where they look more stupid and exploited than respected. For example, selecting an ethical elephant sanctuary is the one where visitors will neither ride an animal nor take a bath with it. According to a report of the WWF, Asian elephants are distributed across an area spanning approximately 300,000 square km. In the Greater Mekong Subregion (GMS). But despite this vast range, there are fewer and fewer of the species in the wild. Today, between 7,000 and 10,000 wild individuals remain. In the GMS, Thailand has the largest population of elephants with 2,500 and 3,000 animals followed by Lao PDR with 600 to 800 pachyderms. The WWF explains the extinction of elephants to the rising human population in the Mekong region, linked to the development of large infrastructure responsible for the destruction of the animals” habitat. Many elephants are still killed for their ivory tusks, which continue to be favoured in many countries by buyers. Weak law implementation does not help to track illegal hunters. Among a growing number of ethical camps in the Greater Mekong Subregion, some are really worth visiting for their high standard for safety and respect of the animals. In Cambodia, experts recommend the visit of the Elephant Valley Project in the remote area of Mondulkiri. Cambodia has some 300 to 400 wild elephants today. The center has only ten elephants and visitors do something just simple. They walk with the elephants, learn about their lives and look at them! The center is a five-hours and a half drive from either Phnom Penh or Ho Chi Minh. Laos used to be called the Land of a Million Elephants. In the early 1980s, they were only 4,000 elephants recorded. Today, the pachyderm population is down to only 500 to 800 animals. In the vicinity of Luang Prabang in Lao PDR, the MandaLao Conservation Camp is fairly new but sets up high standards in the treatment of the animals. There are only seven elephants to be seen but like in Cambodia, visitors will only learn to walk and see the way to feed them. The seven specimens have been saved from the logging industry where they were forced to carry wood all the days. The camp is located along the banks of the Nam Khan River, offering 80 hectares of land, including forests and creeks. Another ethical elephant sanctuary is the Elephant Conservation Center, located in Sayaboury province. Created in 2011, the center has 30 elephants, which enjoy 530 hectares of protected forest. The center breeds the animals and offers new working conditions to mahouts. In Thailand, experts recommend the Elephant Nature Park in Chiang Mai province. The center has received numerous awards since its establishment in the 1990’s. Located 60 km from the city, it is a sanctuary for dozens of distressed elephants from all over Thailand. Visitors will spend their day looking at elephants but not only. The center is also taking care of rescued buffalo, dogs, cats and even birds. 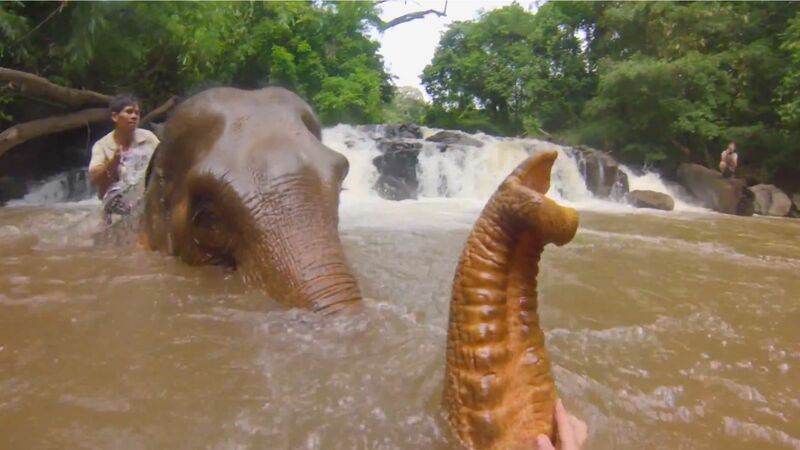 Observation of elephants feeding and bathing is part of the program. In Phuket, Phuket Elephant Sanctuary is the first home for retired working elephants, set on 30 acres of lush tropical jungle. Visitors will experience how elephants rehabilitate into forest life after decades of abuse, mostly working in the logging or tourism industries. The eight inhabitants of the sanctuary enjoy a peaceful retreat to be shared with visitors on the outskirt of Khao Phra Thaeo National Park. For Cambodia, Baolau integrates international flights to Phnom Penh and bus routes to Mondulkiri. In Laos, Baolau offers international flights to Luang Prabang. 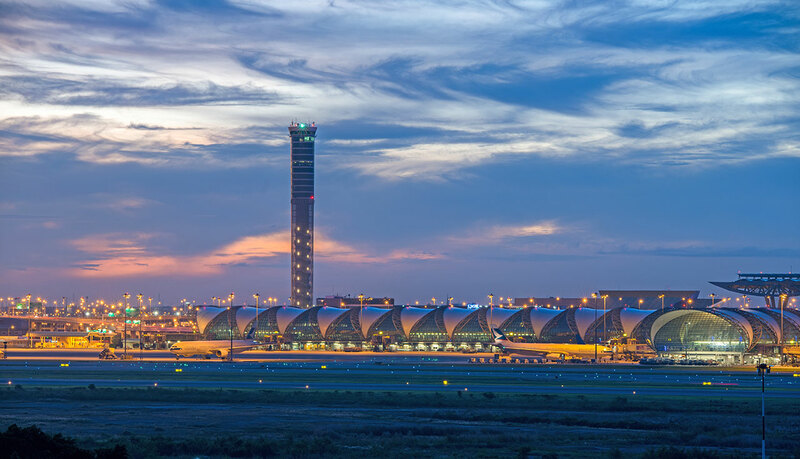 In Thailand, Baolau serves domestic and international flights to Chiang Mai and Phuket.